The Fairchild family is here again and this time, Bonnie is old enough to begin the great--School! We join Bonnie in the excruciating anticipation of the first day, when she will wear her new dress, carry a first reader and slate, and-displaying nonchalance as she braves the swinging bridge--enter into the mysteries of schoolroom learning and playground rites in a woodland setting of the early 1900s. Bonnie's older brother and three sisters, her various classmates and Miss Cora, her teacher, add their liveliness to an eventful season of learning--on every front--in the Kentucky Hills. Rebecca Caudill's unfailing insights into a child's heart are enhanced by Decie Merwin's skillful drawings. 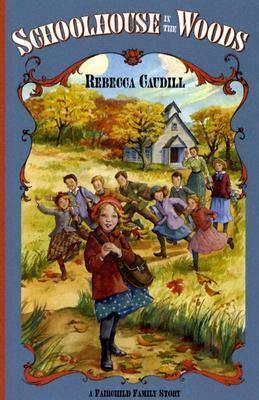 "People have sung about the little red schoolhouse but no one has written of it more lovingly than Rebecca Caudill."